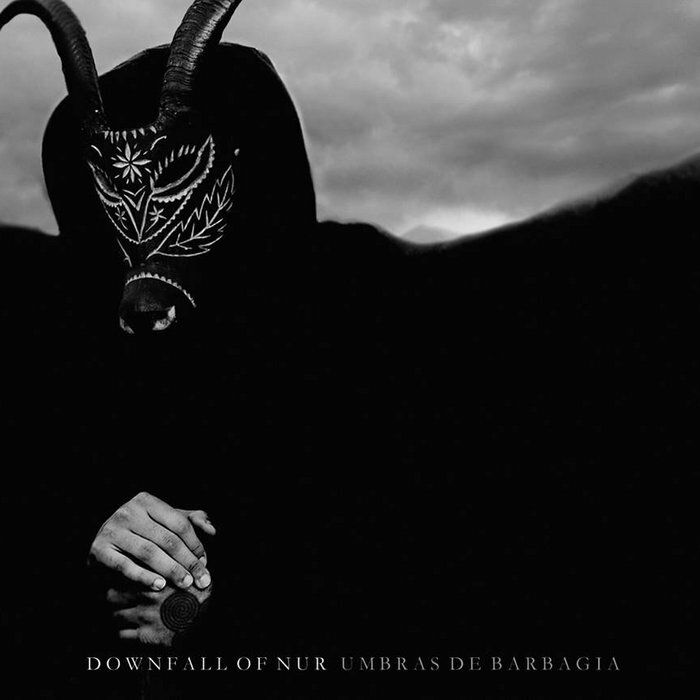 Boy, what records to be found in the underground this time, with Downfall Of Nur, Skuggsjá, Cormorant and Fuath. Great music for great listening! Seldom have I heard music, blending folk and black metal, that feels so full of yearning for something lost as I did with Downfall Of Nur. The band is a one-man project by Sardinian musician Antonio Sanna, who moved to Argentina and there started making his music, inspired by the Nuragian society, which inhabited the island of Sardinia since the old days and still show some traces in the wild central parts of the island. So, the band is based in Argentinia where the young Sanna released a demo, an EP and this full lenght. The music is a mixture of two styles, but balanced in such a way that you hardly feel the transfers from one to another. The production is phenomenal and the sound completely captures the forlorn spirit of its topic matter. 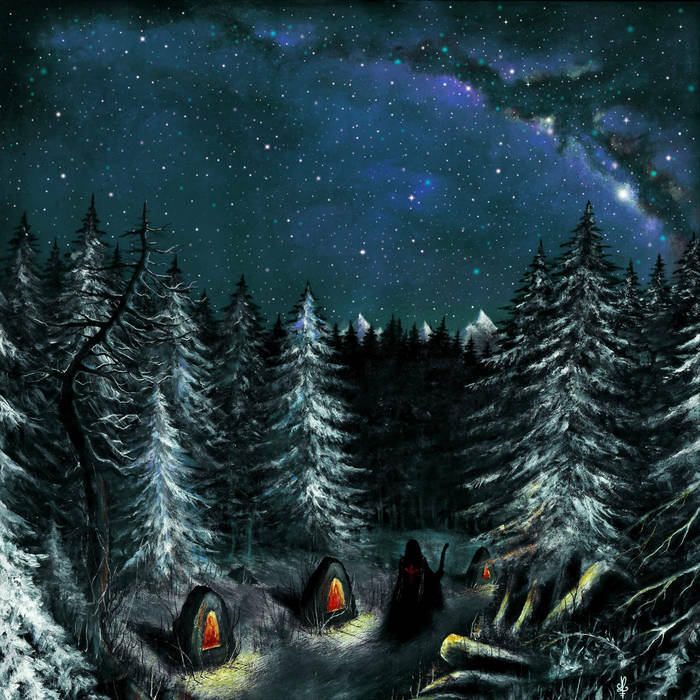 The eerie screams of Sanna are haunting in the sometimes completely overwhelming waves of bleak, black metal. The special touch is the folk instruments, which start the album, but also help it to close of in a similar manner. This way the album becomes a unity, instead of a collection of seperate songs. It’s an absolute masterpiece, that combines the best of the atmospheric black metal bands of nowadays and folk music. 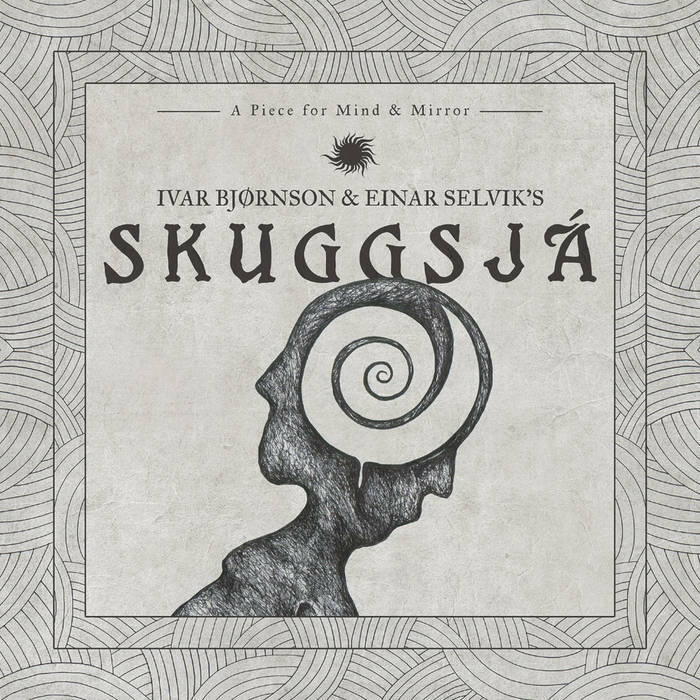 The magical collaboration between Einar Selvik (Wardruna) and Ivar Björnson (Enslaved) was already succesful in its limited run of live shows. I had mixed feelings when it came to an album version of it, due to its temporary and unique nature, It was an event, a once in a lifetime thing, but now there’s an album. I have to retract any objections, because this is a music for the ages. With many collaborators on this piece of heathen heritage appraisal, it’s a work like no other. The Norwegians have tried to captivate its essence on this recording. Though labeled as a blend of metal and folk, it feels more like a ritualistic bit of music. The changing of Selvik is combined with the riffing of Björnson en Grutle Kjellson. Mystical foggy fjörds are being painted with words and music. Through the mist of traditional instruments you journey into the Norway of a long forgotten past. It’s music that makes your heart pound, that makes you look at the stars with a new sense of wonder and embrace the forgotten past. The wide range of instruments comes together for something monumental and grand, but also dreamy and nostalgic for a time in the past. Thre’s hardly any true metal in the music, which is surprisingly not making it lack in power. It’s hard to really go into it, because it knows no equal. I’m for one very glad this music is available on vinyl now. I’ve had this record on my shortlist for reviewing for a while, but somehow dropped it for a while, due to its musical nature. The post black metal that praises the land of the Britons has often represented in my reviews so I let it simmer for a while. That did not diminish anything of the beauty that Fuath has to offer. Andy Marshall knows how to make this kind of music. The Scot was also responsible for the work of Saor, Falloch and various others. Where Saor and Falloch are mellow, representing the wide heathers and hills, the music of Fuath is more harsh, more overwhelming and seemingly more about the deep forest. The name Fuath translates as ‘Hatred’ in Gaelic. That tells you quite a bit already. The sound is more streamlined than the previous efforts and relies on that stream to create an atmosphere of a misty forest and being lost in its foggy depths. It invites you in, takes you into its warm embrace. Only then you feel the eerie cold and the fury behind it all in icy riffs and cold, distant drumming. Vocals are howls, raw and filled with hatred, in the background. Ever seen that scene in the old BBC Robin Hood serious where Guy Of Gisborne runs scared through the haunted forest? This was the soundtrack of that bit. Yeah, this is something else. Cormorant is a black metal band that can trace its roots to the melodic and grandiose sounds of Emperor and Satyricon in the early days of the genre. 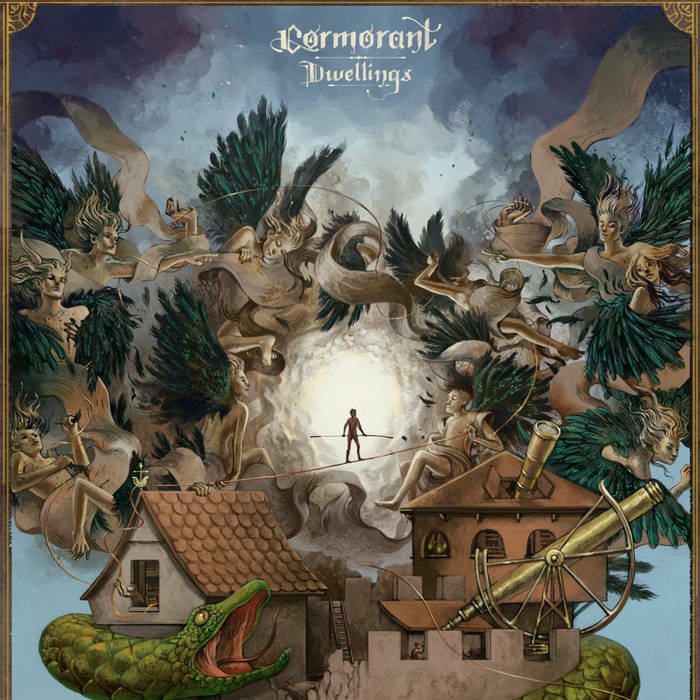 Where the focus of bands is lately much on returning to its roots, like the Icelandic and Nidrosian scenes, this band returns to its mystic, fantastic origins. Think Bal-Sagoth, but without the cookie monster gutturals and and He-man like landscapes. The Bay Area band of Americans have released this album in 2011, but it crawled up on bandcamp for a bit and I had to check it out. I was amazed. You think progressive usually takes a more agressive, extreme angle, but interestingly enough these San Francisco boys have taken it to a more traditional folk/heavy metal direction. More riffing, more soaring guitar parts and that galloping rhythm you’ll find in the power metal corner. Maybe even a bit of Iron Maiden? It creates a unique sounding band, that unites the cravings of angered D&D players with the need to stand bare-chested in a forest wearing corpse paint and wielding swords. It is not filled with hatred, but with longing for that other worldliness. On top of that, they do what they do in a magnificent manner. What an album! They did release a new one in 2014, but I’m most keen for more.